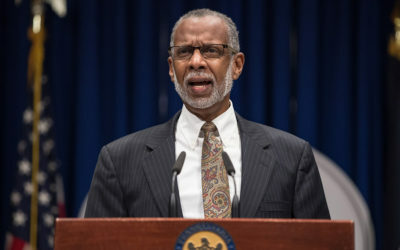 Sen. Art Haywood became involved in the issue of testing for lead in drinking water after visiting Flint, Michigan in 2016. Seeing what that community endured, Haywood fought to keep teachers, students and faculty in Pennsylvania schools safe from lead exposure. 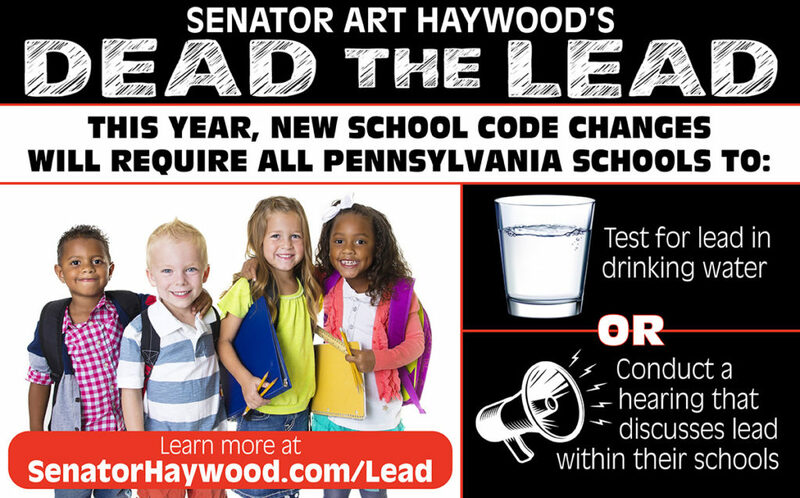 Since then, Sen. Haywood introduced legislation on lead testing school drinking water. 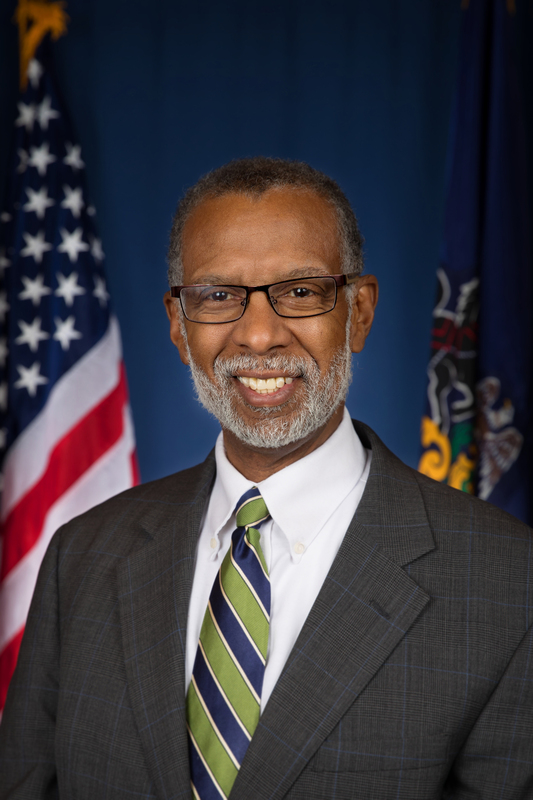 Sen. Haywood’s legislation – Senate Bill 647 – included additional provisions to require schools test lead levels in paint and soil, as well. In 2017, a federal class action lawsuit was filed against the Butler Area School District after testing showed student drinking water contained lead levels 200 percent to 300 percent higher than the accepted standard. Allentown and Altoona were home to the highest percentages of children with elevated blood lead levels in the state at 23.11 percent and 20.45 percent, respectively. According to the Philadelphia Inquirer’s 2018 report on the health of the city’s public schools, 10 of 14 elementary schools contained lead levels significantly above the EPA’s standards of 250 micrograms per square foot on windowsills and 40 micrograms per square foot on floors. The Pennsylvania General Assembly recently passed a state budget package that included changes to the state school code to address the issue of lead in school drinking water. 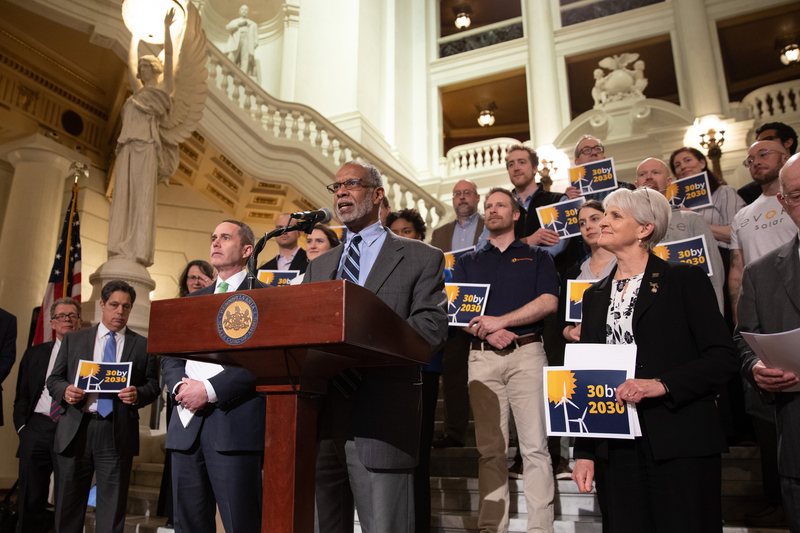 Beginning in the 2018-19 school year, 501 Pennsylvania school districts will be required to test for lead in every facility within their district or conduct a hearing that discusses lead within their school facilities. The testing must be completed this school year and elevated lead test results must be posted on the Department of Education’s public website. 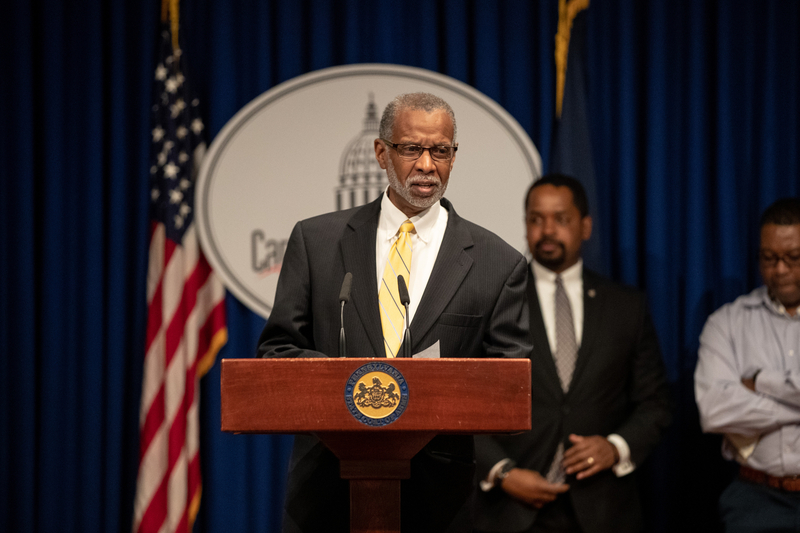 Sen. Art Haywood’s legislation to require lead testing in schools served as a framework for these new school code changes. In Pennsylvania, one of every 10 children is considered to have lead poisoning, which is defined as having more than 5 micrograms of lead per deciliter of blood. In 2017, the Pennsylvania Department of Environmental Protection (DEP) reported 112 water systems had failed to comply with the U.S. Department of Environmental Protection’s (EPA) Lead and Copper Rule (LCR). Among those out of compliance, 58 were schools or child care facilities. Schools and daycare centers, specifically, are at higher risk for elevated lead water levels because water is turned on and off sporadically instead of being run for longer periods of time, so contaminants are unable to be filtered out of the pipes. As such, the EPA recommends such facilities address lead levels in their water when the concentration of lead exceeds 15 parts per billion. 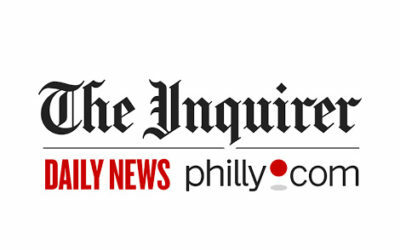 Residents in Bucks and Montgomery Counties who participated in a blood-testing program because their drinking water was contaminated by chemicals on nearby military bases have a dramatically higher presence of some chemicals in their blood than the general U.S. population — in the case of one chemical, five times more than the typical American. As 50,000 students returned to Detroit Public Schools earlier this month, they found themselves without running water. Tests had found elevated levels of lead in the schools’ drinking water. “I am turning off all drinking water in our schools until a deeper and broad analysis can be conducted to determine the long-term solutions,” Superintendent Nikolai Vitti told the Detroit community. 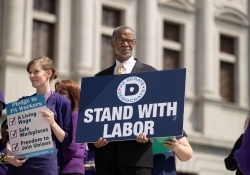 Senate Bill 647 (formally SB 17) was reintroduce in April 2017. This legislation requires schools in the Commonwealth to test for elevated levels of lead. News reports on the contaminated water supply in Flint, Michigan have brought the conversation about lead to the national forefront. A 2014 Department of Health study found that children in more than eighteen communities throughout the Commonwealth have tested positive for lead at levels higher than those in Flint. 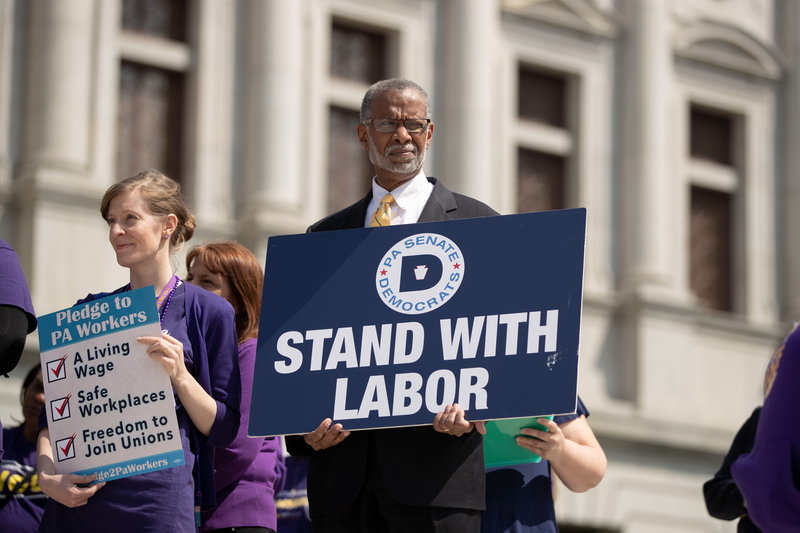 Some of the communities in that report are: Allentown, Altoona, Bethlehem, Erie, Johnstown, Harrisburg, Pittsburgh, Philadelphia, Reading, and Scranton. While the tragedy in Flint focuses on the water supply, the dangers of lead in Pennsylvania also extend to our schools, day cares, and housing stock through lead-based paint. It is time we take action to analyze the Commonwealth’s potential lead issues and ensure that our children and our communities are safe. My legislation requires that every school building be tested for lead prior to the start of the school year. Testing will include water, paint, and soil. Results of the test would be sent to parents of every child enrolled in the school as well as be posted on the school district’s website. If a school tests at lead levels higher than the Centers for Disease Control’s (CDC) acceptable amount, they would be required to submit a remediation plan to the Department of Education. Implement a plan if results exceed the U.S. Environmental Protection Agency’s (EPA) national primary drinking water standard of 15 parts per billion (ppb). This law is effective beginning with the 2018-19 school year. Under Act 39 of 2018, schools may, but are not required to, test for lead levels annually in the drinking water of any facility where children attend school. If a school chooses not to test for lead levels, then the school must discuss lead issues in school facilities at a public meeting once a year. This meeting may be a stand-alone meeting or part of an existing public meeting (such as a school board meeting). Lead can enter drinking water when service pipes that contain lead corrode. One of the common ways lead enters drinking water is corrosion of brass or chrome-plated brass faucets and fixtures with lead solder. Yes. According to the EPA, structures built before 1974 are more likely to have lead pipes, fixtures and solder. Surveys indicate Pennsylvania’s homes may have approximately 160,000 lead service lines in use, currently. Are there allowable levels of lead in drinking water? 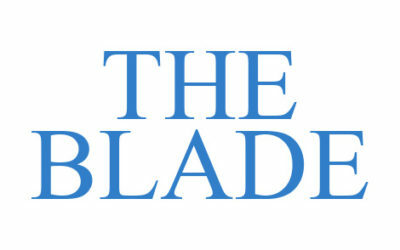 The Safe Drinking Water Act has reduced the maximum allowable lead content in water for it to be considered “lead-free.” The maximum allowable lead content is a weighted average of 0.25 percent calculated across the wetted surfaces of pipes, pipe fittings, plumbing fittings, and fixtures and 0.2 percent for solder and flux. 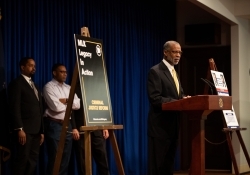 What is the impact of lead on PA’s residents? According to the Penn State Extension Program, 12 percent of homes with private well water have high levels of lead in their drinking water. Water samples collected during studies from 2007 through 2015 indicated the source of the lead contamination was plumbing in individual homes. Additionally, in 20 communities across the state, resident blood samples contained lead levels 22 percent higher than the rest of the state. Those locations included: Allentown, Altoona, Bethlehem, Erie, Johnstown, Harrisburg, Pittsburgh, Philadelphia, Reading and Scranton. Such findings were among the information provided by the State Department of Health (DOH) in its 2014 Annual Lead Surveillance Report. Other than drinking water, how can I be exposed to lead? Lead can be found in a variety of sources other than water, the most common of which is paint. 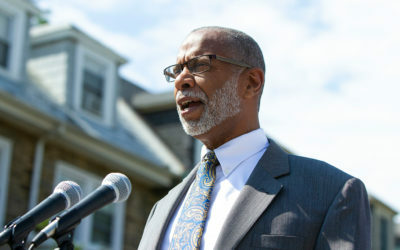 Children living in homes constructed prior to 1950 are in danger of being exposed to lead through paint chips and dust, especially, since lead-based paint was not banned until 1978 in the U.S.
Today, Pennsylvania has the third highest number of pre-1950 homes, when lead was prevalent in construction materials, including paint. This equals approximately 40% of the state’s housing units overall. In Butler County nearly 56 percent of the homes likely contain lead building materials. Lead can be found in almost 77 percent of Altoona’s housing. In Philadelphia, 95 percent of housing contains lead, and Philadelphia’s school buildings are 70 years old on-average. Philadelphia School District estimated it would cost $4.5 billion to make overall repairs to its facilities. According to the National Center for Healthy Housing, every 1 dollar invested in lead hazard remediation would provide a $221 societal savings. How do I determine if my drinking water contains lead? If your home’s water is provided by a local water supplier, request a copy of the latest Consumer Confidence Report from that supplier. This will tell you about the quality of your water, including lead levels. If you have private well water, you may contact a certified drinking water laboratory to perform testing, or your may test the water yourself by purchasing a water test kit from a DEP regional office. What should I do if I think my home contains lead? If your house was constructed prior to 1950, the DOH reports it is more likely to contain lead-based paint, which could pose a health hazard to you and your children. Contact a certified lead professional to have your home tested and evaluated for lead. If you are planning to perform repairs or maintenance to your home and it was built prior to 1978, make sure your contractor is a Certified Renovator. This will ensure he or she employs lead safety techniques while on the job. What should I do if I think someone has been exposed to lead? Presently, the EPA and CDC recommend parents undertake preventative measures that will help children avoid lead exposure; however, if you believe you or someone in your family has been exposed to lead, contact a medical professional immediately. They may need to undergo a blood lead test and discuss other actions and treatments that may be necessary with their medical care provider. I am seeking general information and guidance about lead contamination. Call the DOH’s Lead Information Line at #1-800-440-LEAD or the National Lead Information Center at #1-800-424-LEAD. 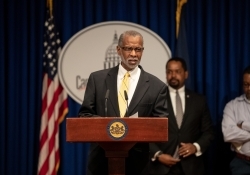 PA Department of Environmental Protection, Testimony of Lisa Daniels for PA Senate Environmental Resources and Energy Committee Hearing, Oct. 30, 2017, http://files.dep.state.pa.us/Water/DrinkingWater/Lead/DEP%20Daniels%20Testimony%20Lead%20Exposure%20and%20Mitigation.pdf ; PA Department of Environmental Protection, Lead in Drinking Water: Information for Schools and Day Cares, https://www.dep.pa.gov/Citizens/My-Water/PublicDrinkingWater/Pages/Lead-and-Drinking-Water.aspx; Penn State Extension, “Lead in Drinking Water,” https://extension.psu.edu/lead-in-drinking-water ; City & State Pennsylvania, “Uphill Climb Resolving Pennsylvania’s Lead Paint Crisis,” https://www.cityandstatepa.com/content/uphill-climb-resolving-pennsylvanias-lead-paint-crisis .